There has been an election recently. An astounding 80 % of the electorate voted for adding Hawai’i to the ABA area. Still happy now with the way you voted? Now let’s see where that leaves us in our little Warbler Wars. Now all that’s left for us here in Europe is the discovery that your Ammodramus sparrows are nothing but abberant Locustella warblers and you’re done for. 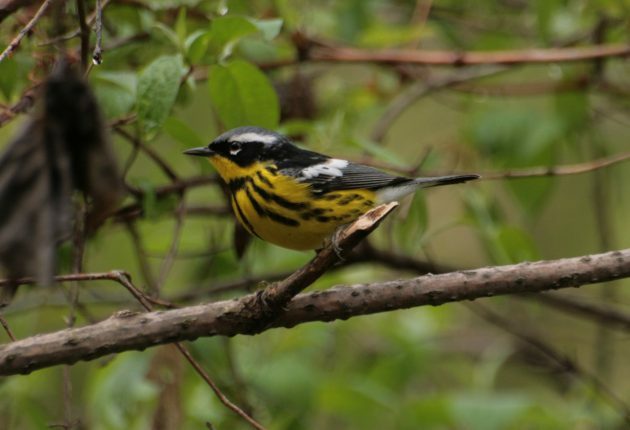 Next May, when you are flocking again to the Great Lakes for your annual fix of warbler migration, don’t thumb you nose at us here in Europe. Instead, I suggest that you just quietly hang your head in shame. The ABA area should include, at the very least, Mexico, the Bahamas and Bermuda. It should really go down to Panama is it is supposed to be the birding area of North America. Duncan, you are of course correct biogeographically. However, this is the A Birding A, not the AOU, and what they are essentially doing is defining the boundaries of their playground – and I don’t mean this dismissively. Essentially the ABA can define “its” area any way they want without it having to make any sense whatsoever or be based on any scientific reason. For the full glories of the Millerbird there is a photo on Wikipedia. 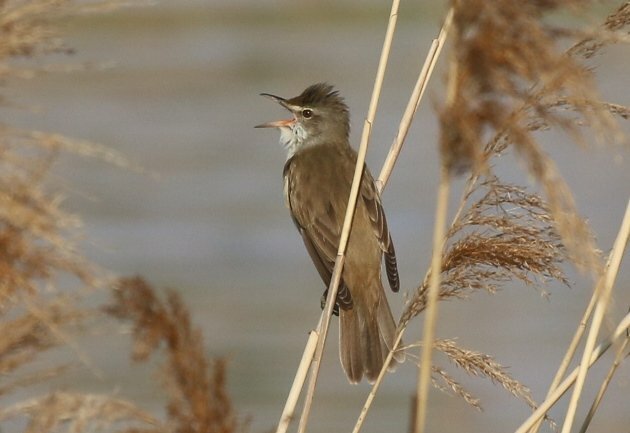 I believe a lot of the Pacific Acrocephalus are thought to be derived from Great Reed Warbler, so presumably this is as well. “…the full glories…” I couln’t have said it any more fittingly! Cheers for that! And thanks for the extra information of which I wasn’t aware. So my picture really is more fitting than I thought. Sorry, we don’t own a smart phone! We need a phone that works when the signal is bad and we really only need to make calls and send texts anyway! That is “smart” enough for us! Our battery lasts for days on end!